When it comes to deciding how or whether to use iPads, schools typically focus on budget issues, apps, networking logistics, check-in and check-out procedures, school and district tech-use policies, hardware precautions, and aspects of classroom management. But it's also important to think about instructional use, and to that end, consider the following questions. 1. What are the goals for iPad implementation? Engagement, access to digital textbooks, access to digital environments, primarily media consumption, media production, or a blend of everything? 2. What can the iPad do that is not possible–or is clunky and cumbersome–without it? That is, what learning problems does the iPad solve? 3. What sort of instructional planning are you using–traditional units, project-based learning, game-based learning, or something else? That is, what style of learning are you expecting the iPad to actuate? 4. How should your instructional design and lesson planning be revised as a result of the iPad? What “fail-safes” should be built into activities to ensure learning is possible when the technology misbehaves and doesn’t do what you ask? 5. What is your own comfort level with technology? What digital, physical, and human resources are available when something is needed? 6. Will the iPad’s use always require special, specific planning? What changes could you make to allow the iPad’s application in the classroom to be more organic and fluid? 7. What is the role of learner in iPad use? Can they choose which apps they use to solve a problem? Suggest better apps for better problem-solving? Switch between tasks, assignments, and activities freely, or a follow-only approach? 8. Is the learning environment you design and manage technology-centered, standards-centered, data-centered, or student-centered? 9. How can you experiment with new instructional styles to take advantage of mobile learning devices in the classroom? For example, quick, open-ended, digital problem-solving competitions that utilize quick bursts of higher-level thinking skills in individual and collaborative arrangements. 10. How committed are you to overcoming unforeseen challenges? Also worth considering: How can parents, families, and local businesses be involved in procuring, managing, or integrating iPads in the classroom? Is BYOD (Bring Your Own iPad) possible? How successful has the curriculum and instructional design been in the school prior to iPad deployment? Further, how is “success” defined in the school–authentic projects, creative thinking, or standardized-testing proficiency? What are the “terms of deployment” in the school? 1:1 or 1 per class? Do students have open access based on need, or teacher planning? 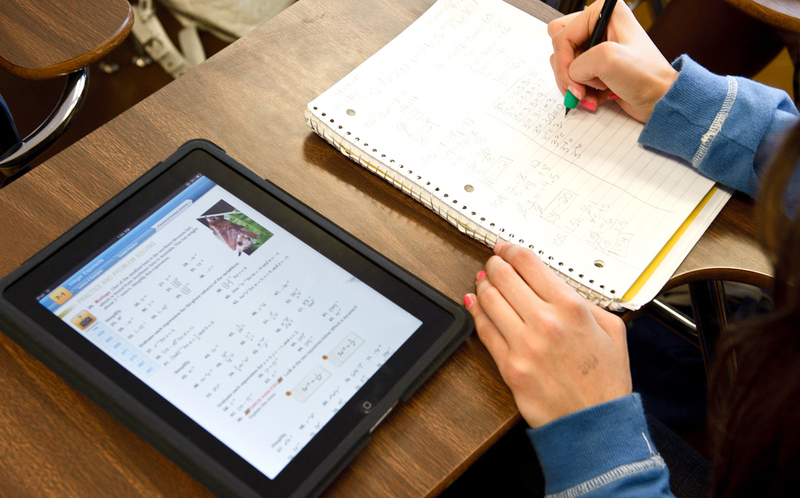 These kinds of questions can help you get the most out of the iPad’s use in your classroom.